pet barriers for Ford tend to be the most popular in UK. Among all else thousands of those are sold every single month. This is not really a surprise as Ford is the top selling model in UK for several years straight now. Land Rover is a British manufacturer brand fro Jaguar Land Rover, this company specialises in producing SUV’s and 4WD vehicles. 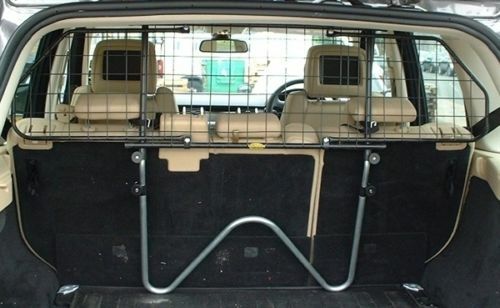 As you can imagine SUV’s are generally quite poppular for transporting stuff and getting involved into adventures, that is why dog guard is almost a must for any Land Rover. VW guards rank third for dog guards bought in UK. 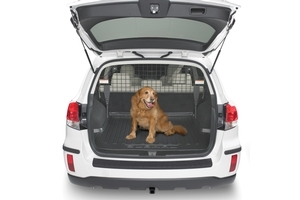 Volkswagen produce a lot of cars with a spacey boot, a perfect place to travel with your dog. That’s why a lot of VW owners want to keep their dog safe. Despite the opinion that BMW drivers tend to be more agressive then others and care less about safety – BMW owners rank 4th on our list. So when it comes to protecting a pet, BMW owners can’t care more. Another German representative on our top 5 list is Audi. Audi drivers are into fancy and comfortable drive, they want to have everything under their control, even their boot space. That’s why a lot of Audi driver buy a dog guard. I hope you have enjoyed reading though my top 5 selling dog guards in UK. Please come back soon for more news and exciting information. Saunders have a very interesting range of Volkswagen dog guards. They are quite affordable on price, sell both through ebay and their website. Saunders have 2 types of pet barriers Tubular and mixed Wiremesh/Tubular. Please keep in mind that the last time I checked Saunders didn’t have a dog guard for all models of VW. 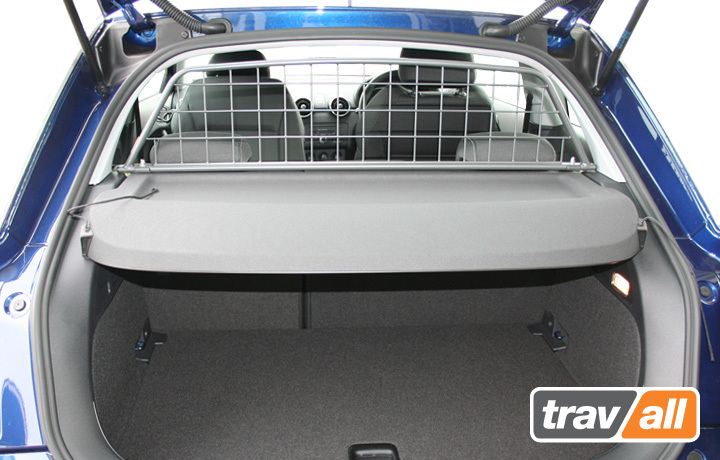 Travall have the widest range of dog guards for VW. Even Volkswagen themselves don’t provide such a variety. Travall dog guards are slightly more expensive than Saunders, but that’s because they are pure Wiremesh type. Which means that you won’t be dissapointed in terms of quality. Travall dog guards are sold though amazon, ebay, home website, and variety of partners. It’s quite wierd that VW call dog guards as Partition Grilles, furthemore the website itself says PaRTion grilles. So I’m not sure if that was a type or they did it on purpose. The OEM dog guards are quite expensive as the price vary from £150 to £300. But if you like the original parts and accessories then you can’t go wrong. 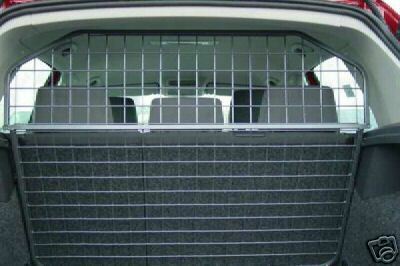 Barjo have quite a narrow range of Volkswagen pet guards but they definitely stand for quality. Just like Travall they provide a high security and safety for your pets with a Wiremesh type of dog barrier. You can find plenty of those sold on gumtree, ebay and amazon. The price range may vary between £80 and £200 depending on a particular Volkswagen model. Please come back soon for more information on model specific dog guards, as within the next week I will be posting information about dog guards for Ford, Audi and Bmw, so please stay tuned. And as always your comments and feedback are much appreciated. 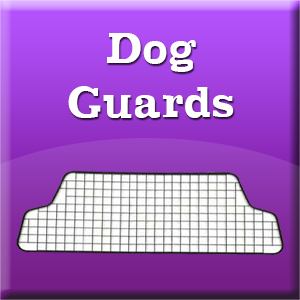 If you want to find out a little bit more about dog guards you visit our dog guards review page for additional info. Some interesting news from Salford this morning: Jack Russell Survived a Trip in Car Engine whilst being stuck there for 12 miles. 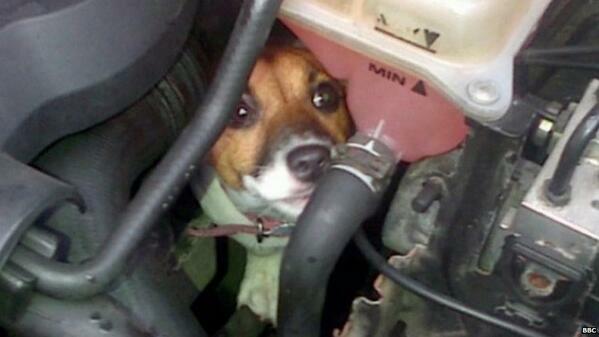 BBC has reported that a three months old Jack Russell puppy – Betty Boop has climbed up the engine of the neighbours car from beneath the vehicle and stuck there. After that she had a 12 miles trip at a speed up to 50mph. How do you call a thing that goes in the back of your car? Lately on the internet I found a lot of questions like how is the device called that goes in the back of your car, or how is the device called that separates the boot of your car. Or even how do you call a device that keeps your dog or pet safe in the boot of your car. Dog Guard – Dog guard is a term mostly used in UK. Possible variations of this keyphrases are: pet guard and dog guards. Dog guard is a device that will keep you pet safe and secure in the boot of your car. You can find more information about this device variety at our dog guards page. Pet Barrier – Pet barrier is term mostly used in USA. Possible variations of this keyphrase is dog barrier. Pet barrier has the same kind of purpose as dog guard. Cargo barrier – Now this is an interesting term because it looks pretty much like the the standard dog guard but has a different purpose. It is designed to keep your cargo in the boot. And usually is much more solid peace of equipment. Generally speaking a cargo barrier (wiki link) can be used for dogs, pets and animals, but dog guards and pet barriers are not designed to hold your cargo in place, especially during an accident. 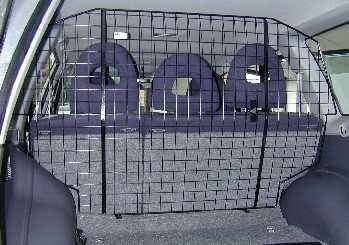 Dog guards can become quite valuable and unique when you are about to move your beloved pet in the car. To be fair, even though this car accessory is called dog guard it creates a safe environment in the car even if you transport baggage instead of animals. What are dog guards designed for? 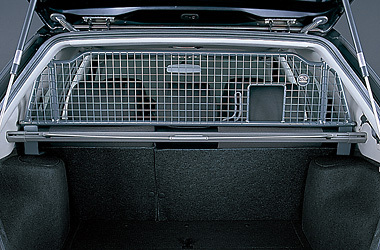 Basically, dog guards are designed to prevent any kind of item movements from boot of your car to front. If you are in the middle of an emergency car stop – none of your items in the boot will fall over your head from the back of the car. This makes even more sense when your transporting a living creature (a pet), like a dog for example. – Is this dog guard going to fit my car? Is it vehicle specific? – Is it a high quality material and will keep me and my pets safe at all time? – What is the material that it is made of? – Will I be able to set it up on my own, in other words – is it a DIY accessory? – Will I have to modify my vehicle for it to fit? – Is there a proper installation instruction for my dog guard? All of those and some other questions should be asked before you consider on buying a dog guard accessory. For more information about different types of dog guards please visit the section at the top navigation of this website. 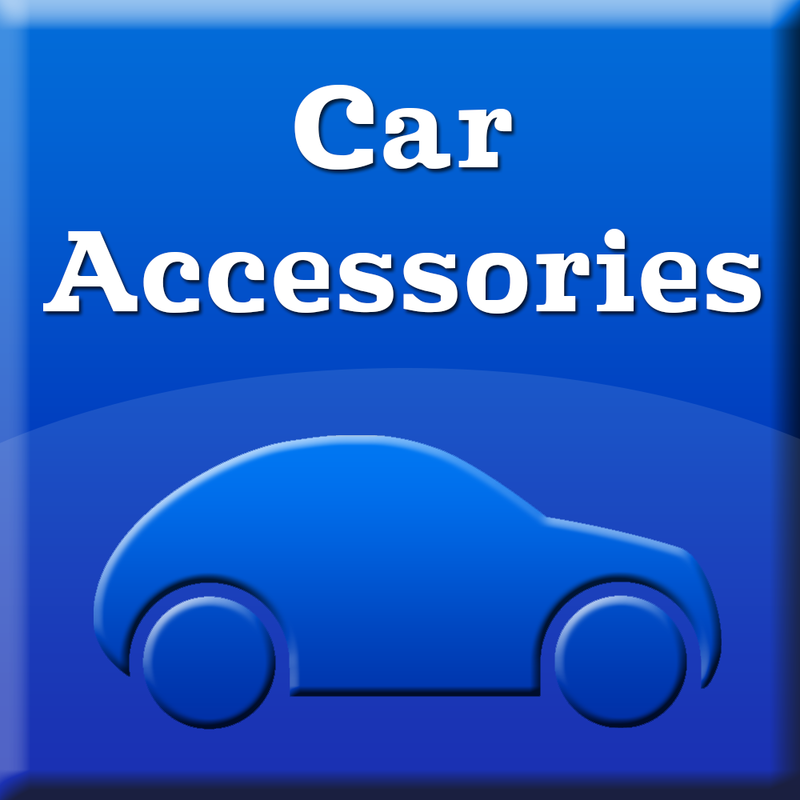 Our blog brings you the latest news on various car models and different car accessories.